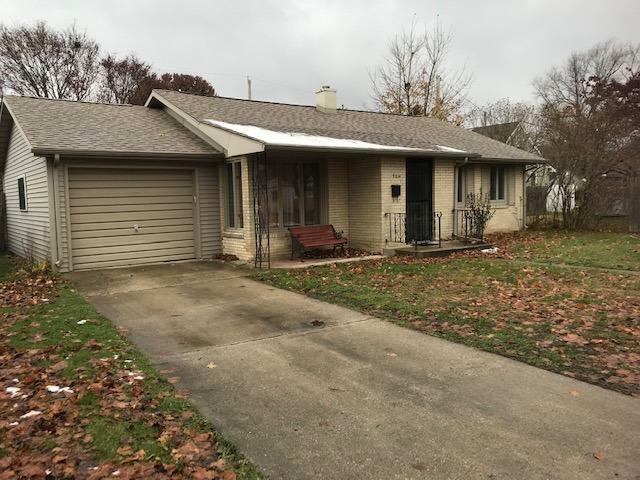 What an adorable and well maintained 2 bedroom and 1 1/2 bath brick ranch in a convenient location, close to schools and shopping. Home has updated electric, completely freshened up living space and a nice family/rec room off the kitchen with a door to a fenced back yard. Nice 1 car attached garage and a lovely landscaped yard completes this little gem. This home boasts a large living room and a spacious eat in kitchen. Down the hall you will find not one but 2 bathrooms, one being a 1/2 bath and 2 large bedrooms. This home a great value. don't miss out!! Directions:Take Highway 35 south into LaPorte and turn east on Kingsbury. Turn south on Monroe street to Roberts and go north. Turn west on Jefferson and take to Ottoson and then turn south. Home on West side of Ottoson. Listing provided courtesy of County-Wide Properties, LLC.